Today, losing an Aadhaar card is nothing less than a nightmare. From getting a PAN card to opening a bank account to filing your Income Tax Returns, Aadhaar has become mandatory in almost every part of life. Recently, the government has also made it mandatory for consumers to link many important services like their bank accounts, Mutual Funds and mobile number with Aadhaar. In such a scenario, losing an Aadhaar card could have serious consequences as the card also holds your personal information that can be taken advantage of. But fret not! 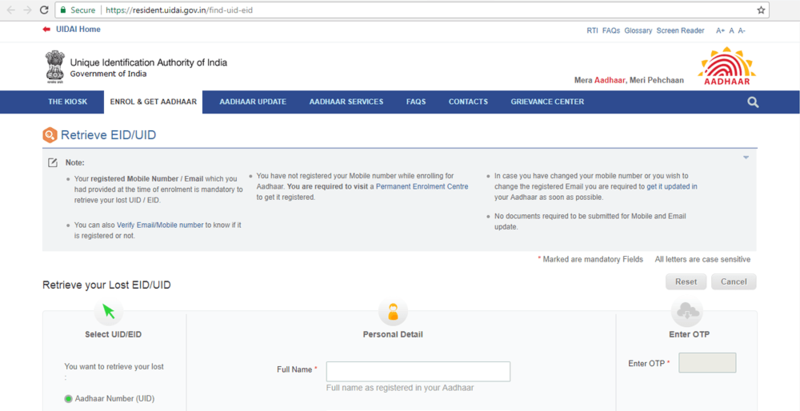 Here’s a step-wise guide on how to get a duplicate copy of your Aadhaar card online. But before you try and get a duplicate copy of your Aadhaar, make sure that your Aadhaar card has your correct mobile number or email ID registered. This is important as you will receive an OTP (One Time Password) to retrieve your Aadhaar details. 2. 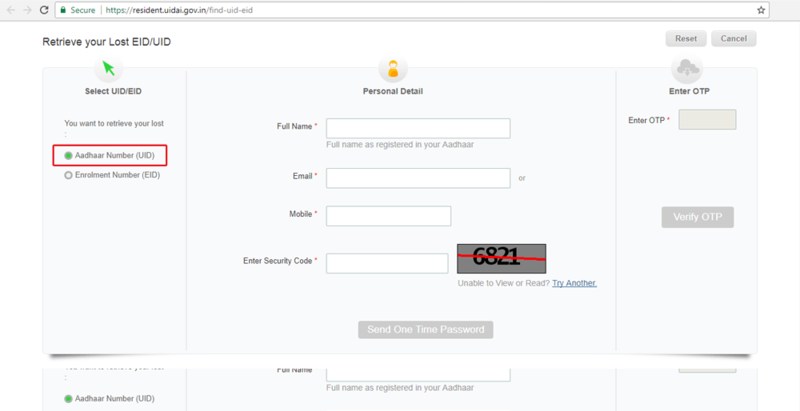 Scroll down and select ‘Aadhaar Number’ under ‘Retrieve your Lost EID/UID’ section. Once that is done, simply fill in all your personal details like your full name, your email address, and your registered mobile number. 3. Enter the security code as displayed and click on “Send One Time Password (OTP)” button. You will receive an OTP on your registered email ID/mobile number. Enter the OTP you just received and then click on “Verify OTP”. 4. 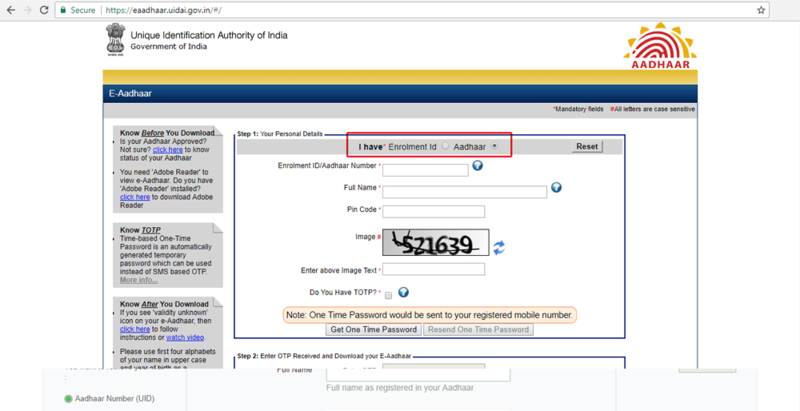 You will receive a message on your mobile with your Aadhaar card number. 6. Enter all the required details like your Aadhaar card number, pincode, mobile number, security text, etc. and then select ‘Get OTP’. 7. Now just enter the OTP you received on your mobile or email ID in the ‘Enter OTP’ box and click on ‘Validate and Download’. 8. The PDF file will be password protected. Just enter your pincode to unlock the file and you are done. You can also retrieve your Aadhaar card offline. To do so, just visit any nearby Aadhaar centre. You will be asked to enroll your fingerprint on the biometric device and you will get your Aadhaar card. In case you are looking to get the hard copy of your original card, simply give a call at the toll-free number 1800-300-1947 or write an email to help@uidai.gov.in regarding your concerns. Alternatively, you can also download the mAadhaar app on your smartphone to download a digital copy of your Aadhaar card. It’s a no-brainer that Aadhaar has made our lives easy and paperless. At Bankbazaar, we too strive for paperless initiatives. We have a host of paperless, one-day Credit Card and loan options. Don’t forget to check it out.